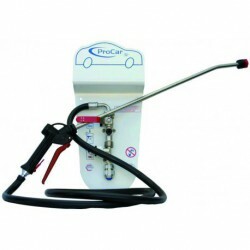 To offer solutions to all problems of professional hygiene, EUROSANEX has at your disposal its EURO detailing diluter with water point (2 products), very useful for car and lorry washes, faÃ§ades, etc. 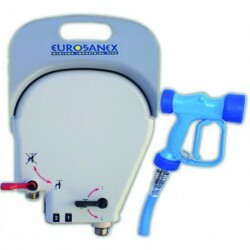 This EURO detailing diluter with water point (2 products) mixes the desired product (cleaner, degreaser, etc.) with water and can also be used to rinse just washed surfaces.